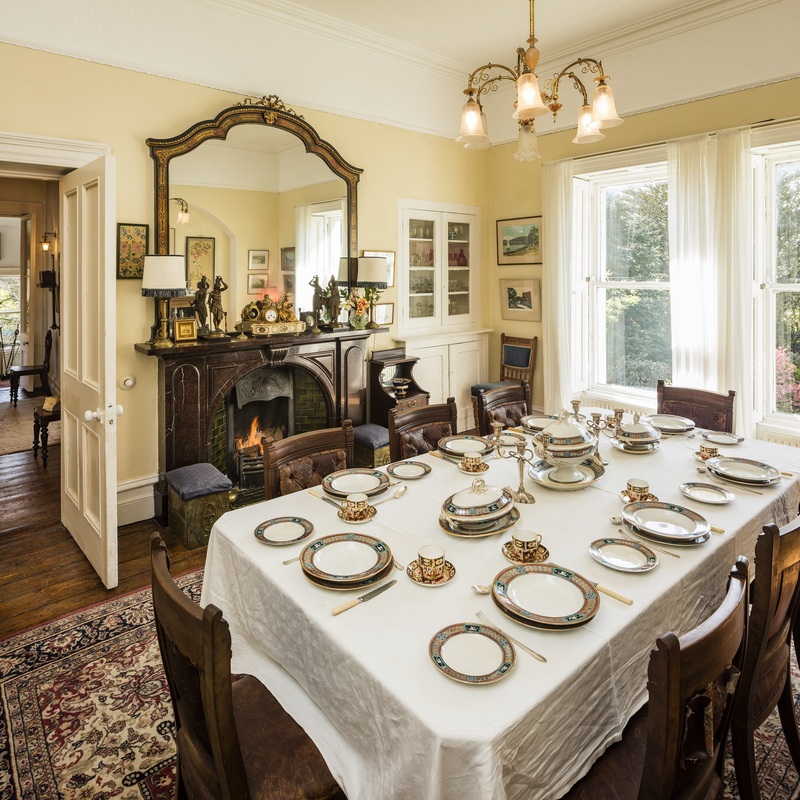 Location: Woodbank, St. George's Avenue, Killiney Hill Road, Killiney, Co. Dublin, Ireland. 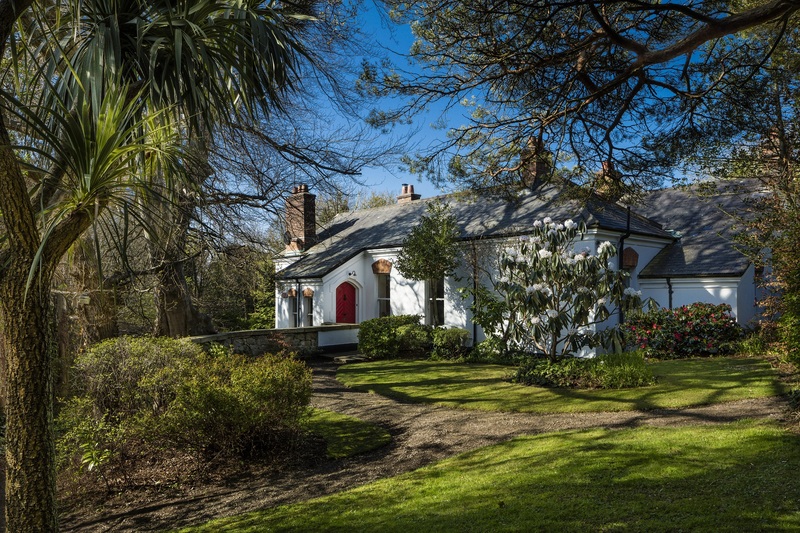 Woodbank, St. George's Avenue, Killiney Hill Road, Killiney, Co. Dublin. 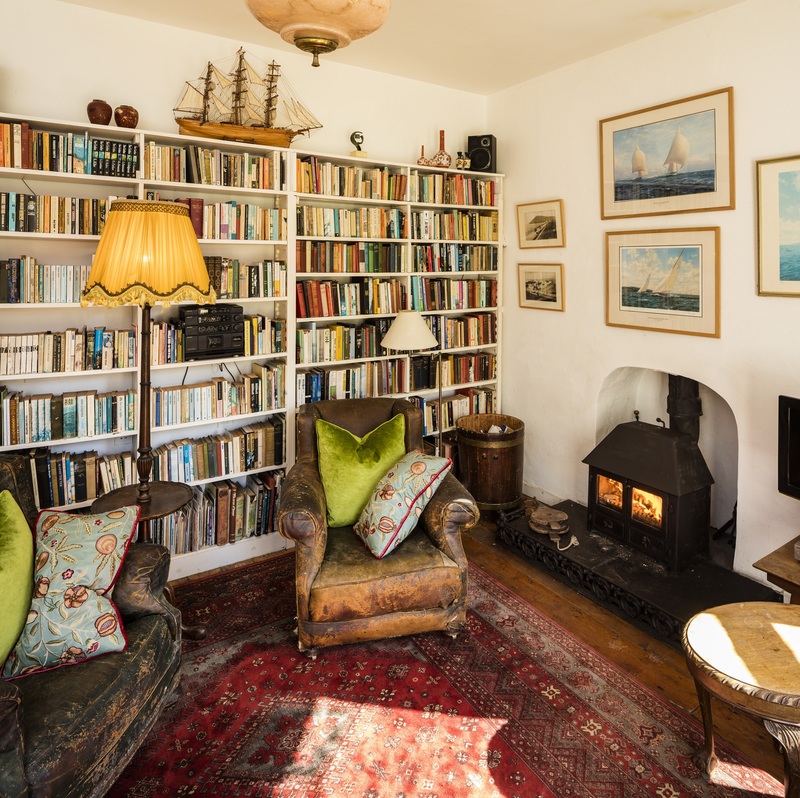 Finnegan Menton are proud to offer this charming early Victorian spilt-level residence enjoys total privacy, with cherished sea views towards Bray Head and has been in the same family for almost fifty years. 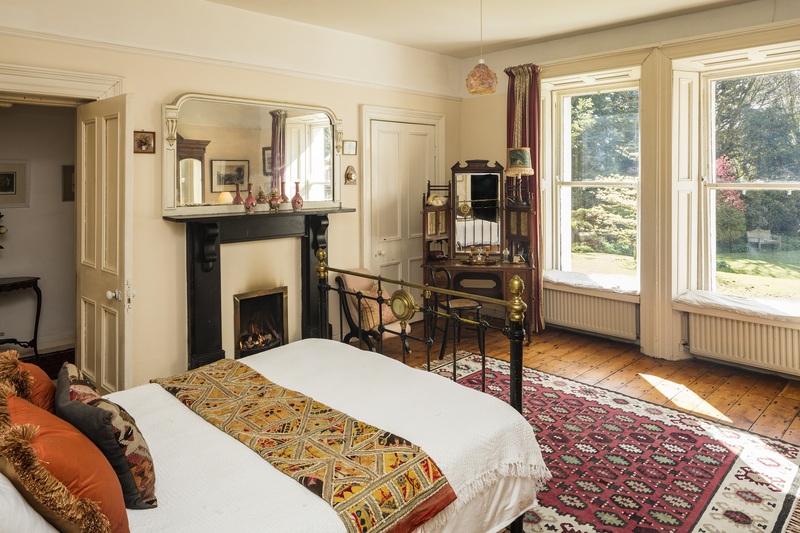 Tastefully presented whilst retaining its many period features, this unique home retains its original marble fireplaces, gracious ceiling heights of 12’-14’, timber sash windows with original plate glass and shutters and polished original pitch pine flowing throughout many rooms. 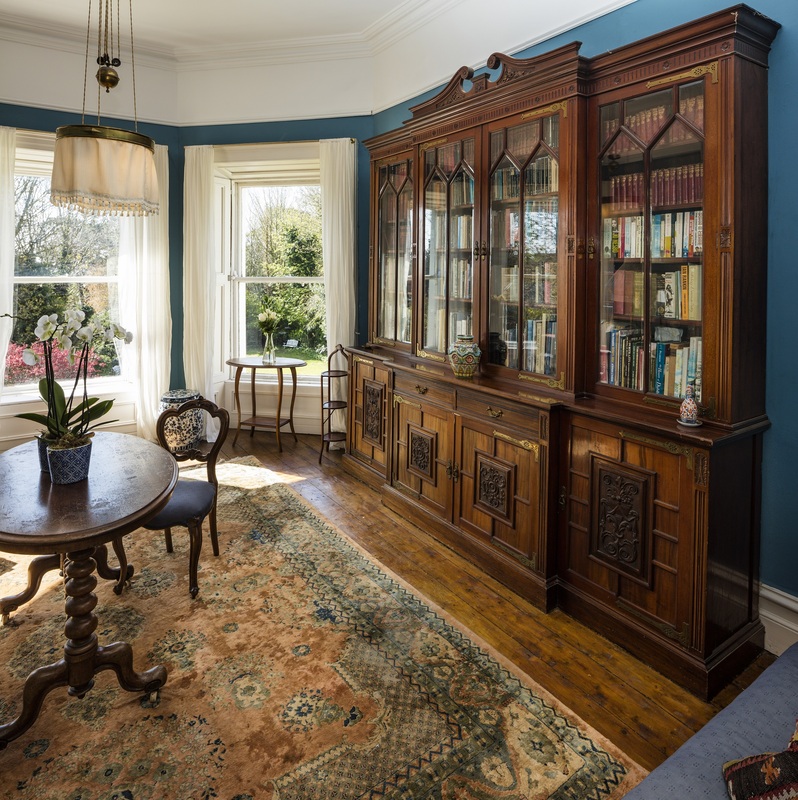 Entering Woodbank through its entrance porch, glazed double doors lead to the main entrance hall with its two principal reception rooms at first floor level including a fine, bow fronted drawing room and elegant dining room both overlooking the extensive gardens and lawn to distant sea views. 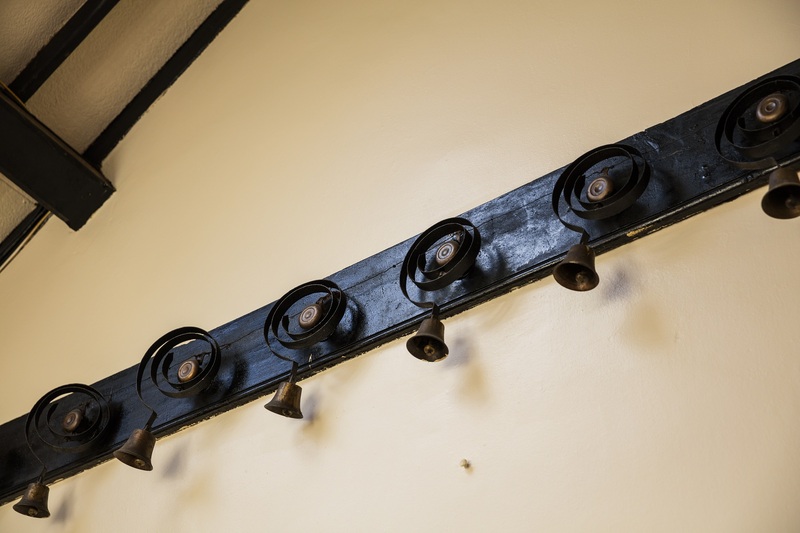 The main hallway leads to the lofty kitchen, which is traditionally laid out with a quarry stone tiled floor, cream coloured Aga and still retaining the original bells to summon the staff. 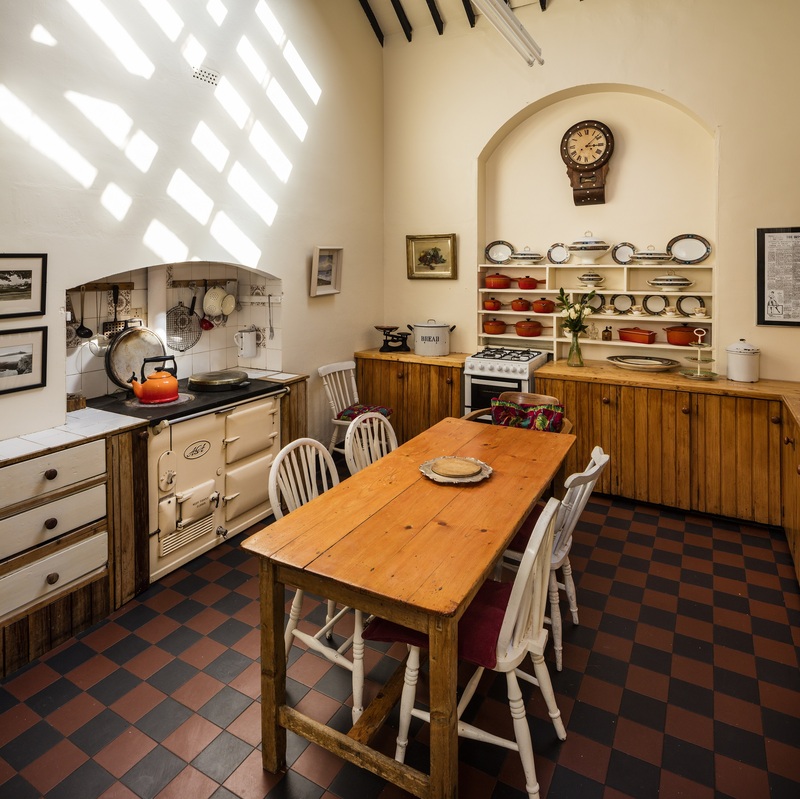 Off the kitchen is a scullery and the back hall with west facing conservatory adjacent to the kitchen lawn and herb garden. 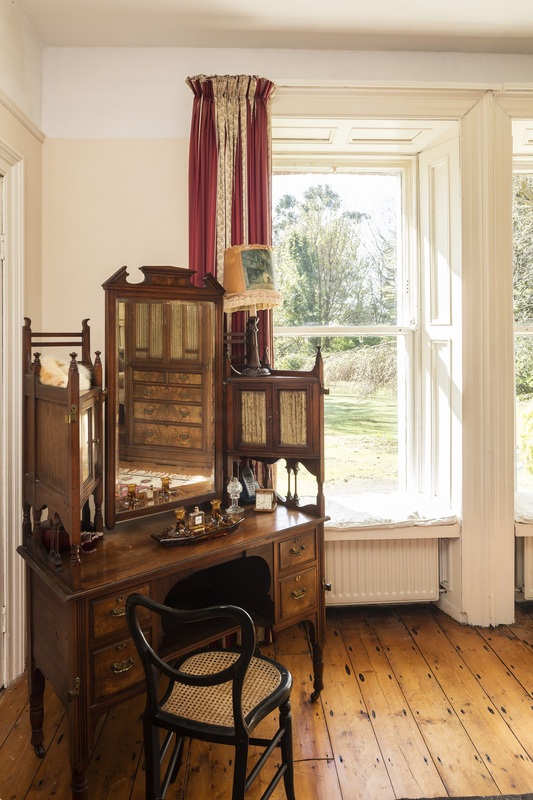 The bedrooms at this level and the family bathroom range along the east and west side of the house enjoy a close relationship with the gardens. 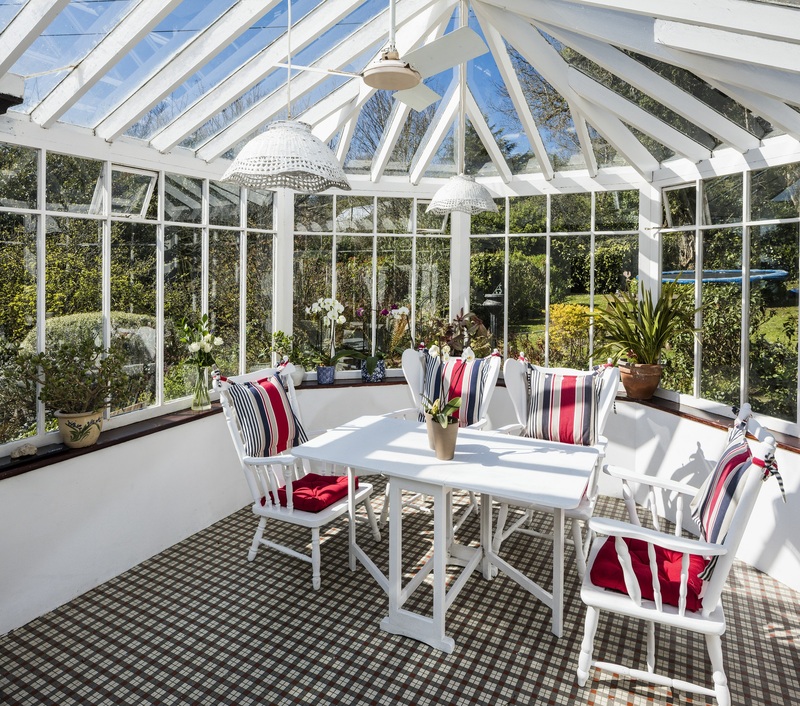 A single flight of stairs gives access to the garden level which has a cosy, bow fronted study with French doors to the gardens, and two generous bedrooms (one ensuite) overlook the gardens to the south and east. A bathroom and a storage / wine cellar complete the garden level accommodation. Woodbank is accessed through electronic entrance gates from St. Georges Avenue leading to a sweeping gravel driveway with parking for several cars. There is a detached two-car garage and workroom for additional covered storage. 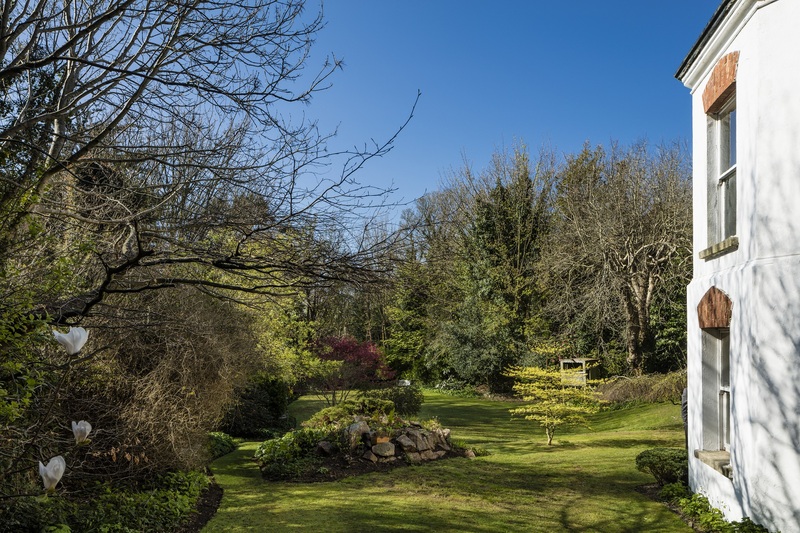 The house nestles amongst extensive sloping grounds extending to over three quarters of an acre of sheltered and mature gardens. 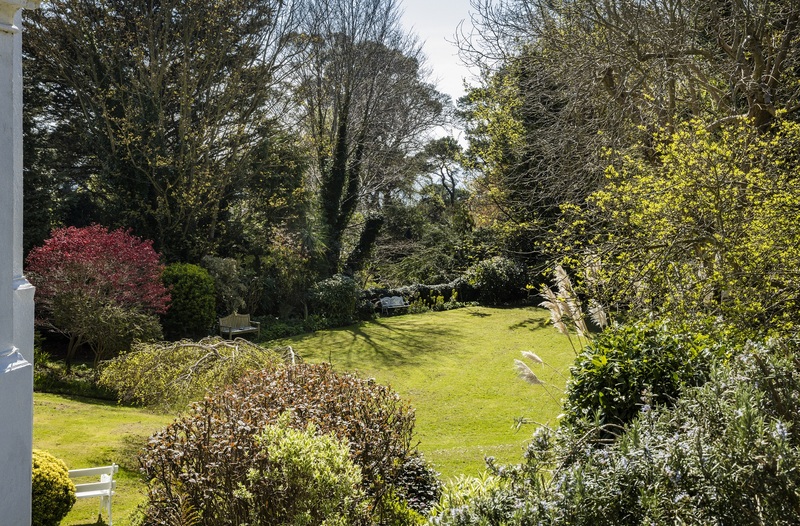 A south facing sequence of informal terraced lawns and spaces step down the slope towards the sea, each defined by dry stone walls, stone steps, drifts of herbaceous planting and ferns, which lead to a fine large lawn, once a full sized grass tennis court. 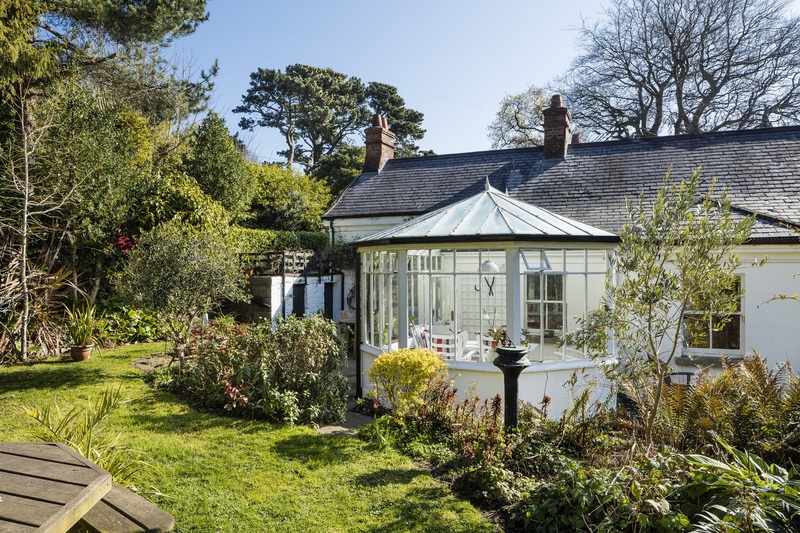 The sheltered micro climate has encouraged an eclectic assortment of trees, shrubs, and flowers to flourish. 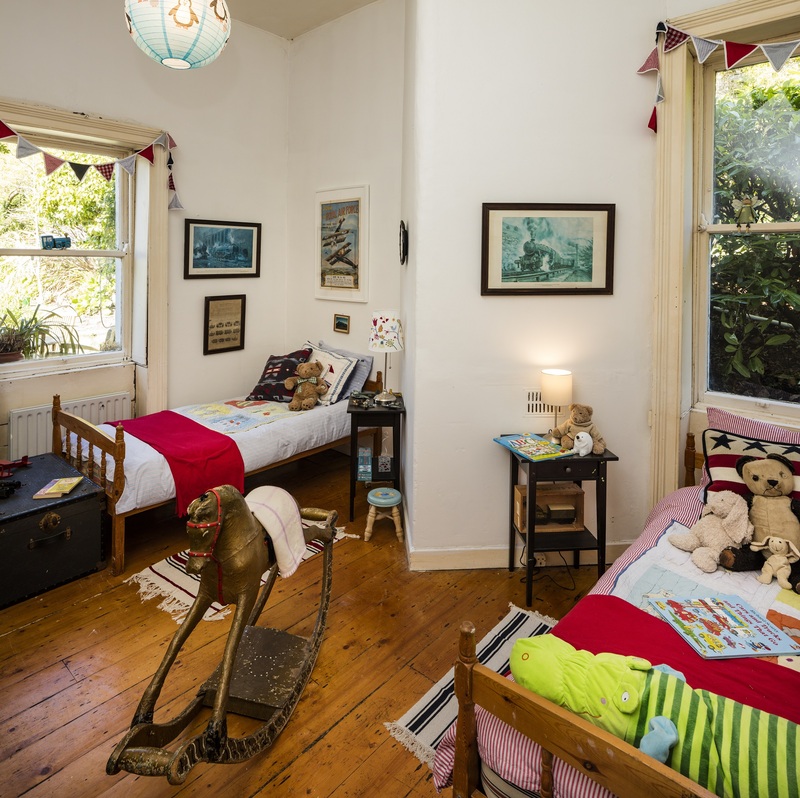 These gardens have been a safe place of adventure and mystery for countless children building treehouses, playing croquet, clock golf and generally losing all sense of time in this wonderful, rambling home. 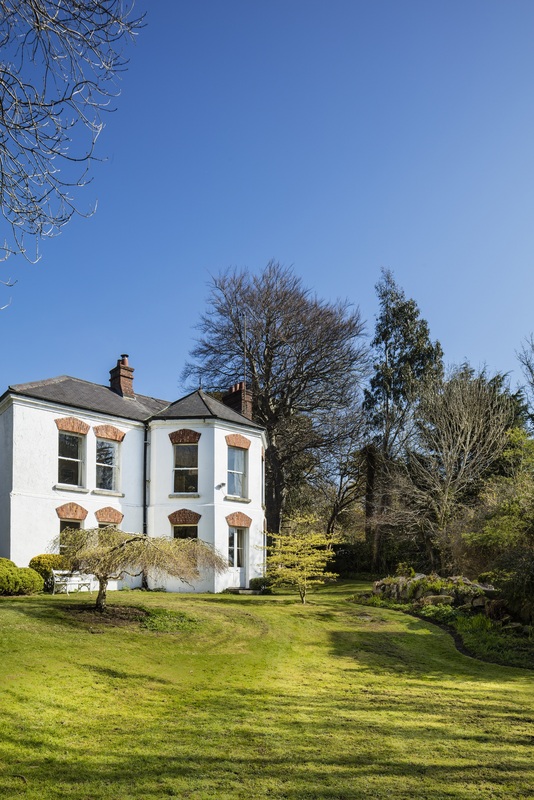 Woodbank is situated on St. Georges Avenue, which is a most attractive and private road of large detached houses with substantial gardens located on the southern side of Killiney Road. 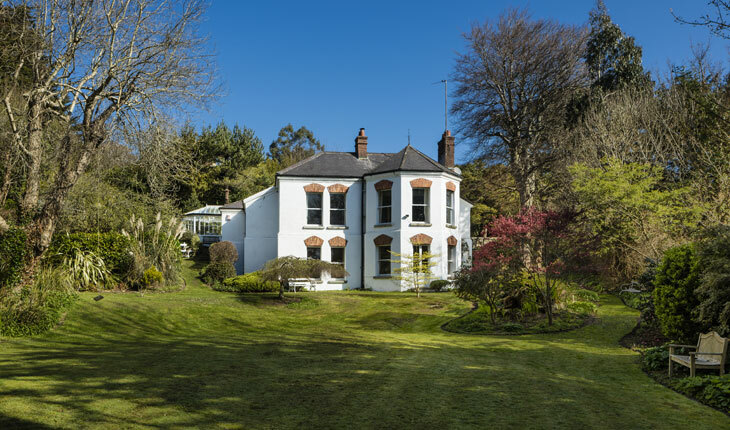 A wonderful opportunity awaits the discerning buyer a truly captivating home of distinction on Killiney’s most sought after road. 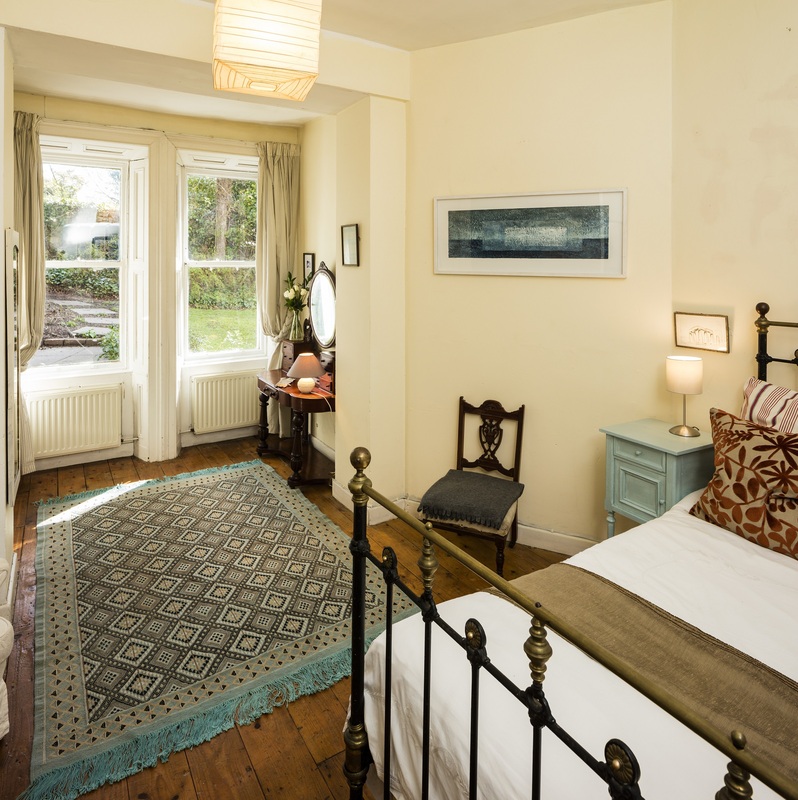 Within walking distance of Killiney Village there are excellent schools and a host of spectacular walks over Killiney and Dalkey Hills as well as the beaches and rocky coves of Killiney Bay. There are a number of sporting recreational facilities nearby including yacht clubs and golf clubs. 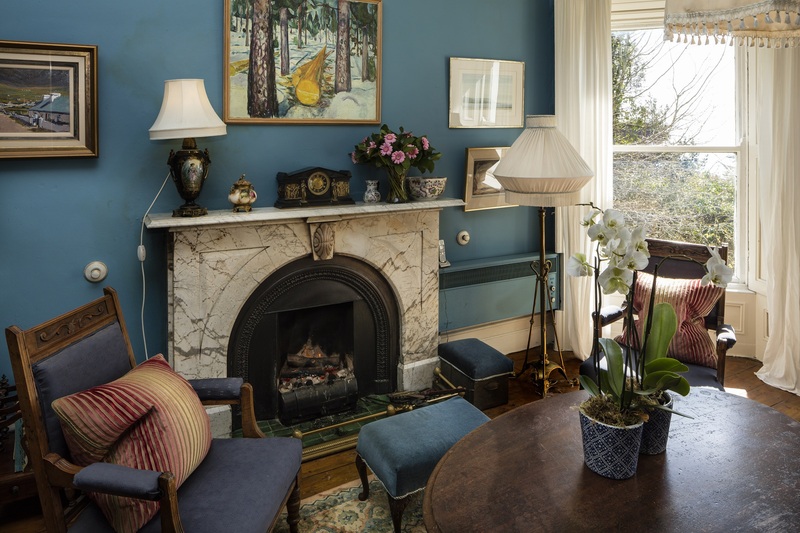 The nearby village of Dalkey offers excellent shopping and exquisite wining and dining. 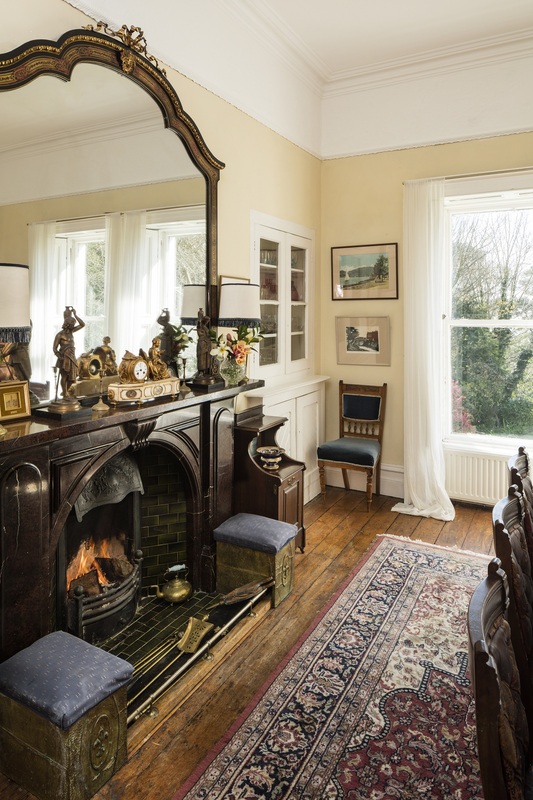 Woodbank is also within walking distance of the DART, the 59 bus route and is within 5 minutes drive of the Luas at Cherrywood and the M50, giving access to the national road network and Dublin Airport. One of Killiney’s most sought after roads. 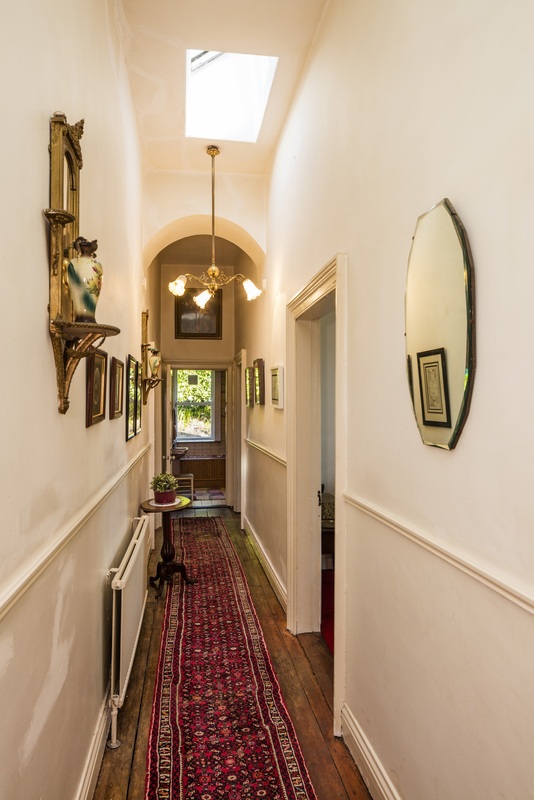 Early Victorian residence built 1848. 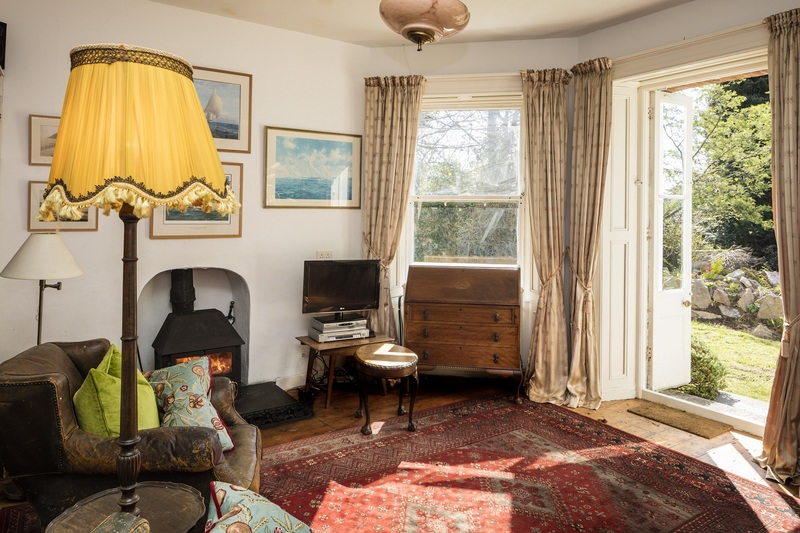 Six bedroom, four reception rooms. 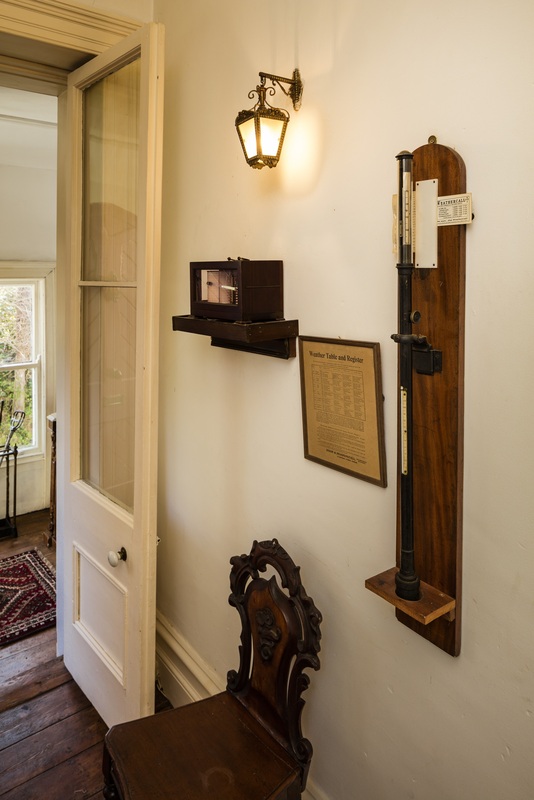 Many period features in situ. 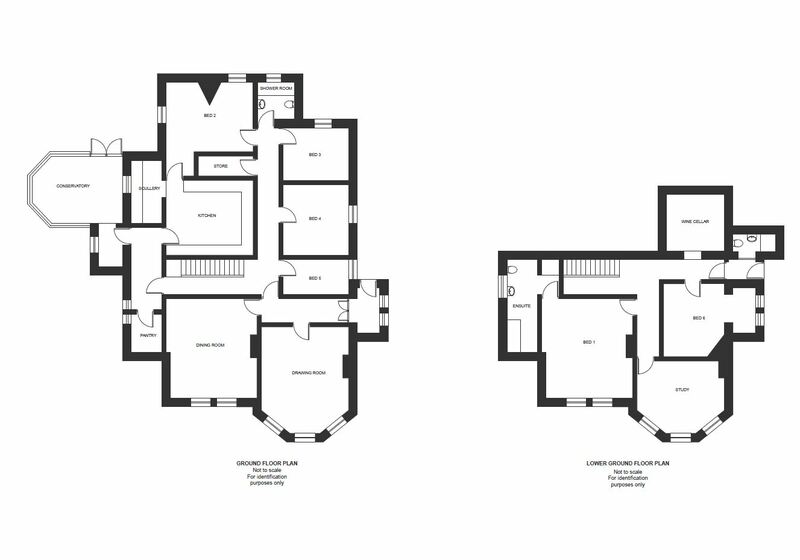 Extending to C. 3,215sq.ft./ 298.5sq.ft. Not on the list of protected structures. 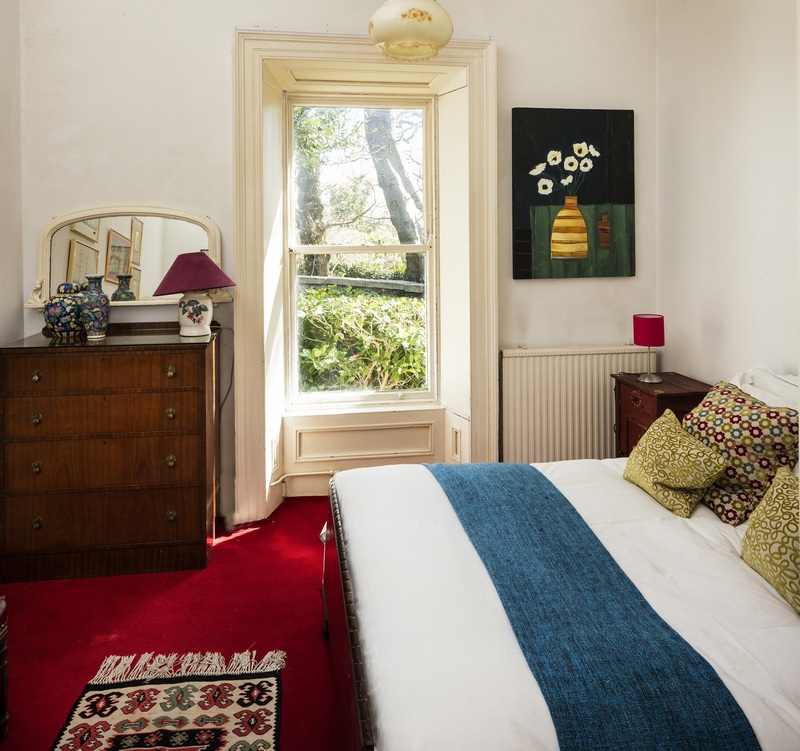 Walking distance to the DART. Coming from Dalkey proceed south on Dalkey Avenue, which becomes Killiney Hill Road. St. Georges Avenue will be on your right hand side. Woodbank is the second house on the left.